Fresh, seasonal dining, magnificent Caracasbay water and boat views, relaxed yet stylish ambiance. The Pier international & seafood restaurant, is a Caracasbay treasure. It’s no surprise that Restaurant The Pier is a recipient of TripAdvisor's "Certificate of Excellence" and ranked high among all restaurants on Curacao. Our chefs are locals who have trained and worked in various restaurants on Curacao. For over five years, this team has combined their passion for great food and extensive experience with use of quality fresh ingredients to create The Pier’s dining experience. In keeping with their locale, the atmosphere plays off the setting. Their solid wood bar adds an aire of modern, while the chairs keep things comfortable. Their signature eclectic style is certainly warm and welcoming. The surroundings are a big part of the atmosphere too. 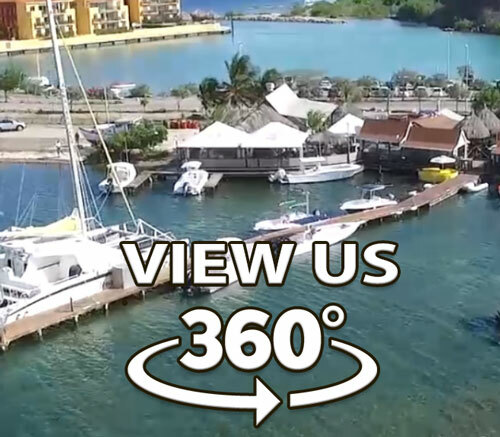 You can watch the boats, enjoy the gentle breeze, and bask in the beautiful vistas all while enjoying one of the best meals you are sure to eat on your getaway.